Woo Hoo! We Won! Or did we? As Clay Davis, my favorite politician from the The Wire would say, "Sheeeeeeeeeeeeeeeit!" Google in its infinite genius has managed to come out with a new pseudonym policy that's even more ambiguous than its predecessors. It's as yet unclear whether the average pseudonymous Joe or Jane Doe can use their Twitter account for validation. Or whether your pseudonym will only be accepted if you have more than 10,000 followers and can document retweets from @scobelizer. Beats me. Time will tell. Stay tuned. Botgirl and many SL avatars, including myself, can qualify for the 'honor' of using Google + now, because we have thousands of google pages regarding our alternative names. They have missed the entire point of the argument. HEY GOOGLE, YOU FREAKING IDIOTS!! !, PEOPLE WANT TO BE ANONYMOUS ON THE FREAKING INTERNET!!! There appears to be no new policy - mostly just a new announcement. If there was a true reversal of policy here, there would be nothing to "roll out". The problem was the aggressive campaign to disable or delete Google services for some user accounts, a witch hunt that seemed at times to be targeted almost randomly or arbitrarily. To reverse that aggressive behavior, all they need to do is stop doing it. But instead, they have a new qualifying criteria, that unnamed secret committees will pass judgement on. I don't expect the new appeal refusals to be any more explanatory or helpful than they were previously. “It’s not an awakening,” said Horowitz. “This has always been part of the plan.” If that is true, they were pretty clear they didn't want anonymity. Assigning an handle or nickname to my wallet ID doesn't even begin to provide that. And there's no support for new users who wish to remain anonymous. You'd have to set up an account on a different social network, establish your presence there, then request Google+ and hope it gets accepted. But if you go through the trouble of setting up an account on a different social network, and build it there until your identity is established there, why would you try to bring it to Google+ where it's a newb? If this was "always part of the plan" then Google reps were lying about that from the get-go. I was just reflecting on the irony of my line of thoughts in terms of cost analysis to trying to join Google+. I've had this identity for 15+ years, which I would say is rather firmly established, and I value my blog and google email account sufficiently that I'm 100% unwilling to tie them to a Google+ account until it's clear I won't lose either by having my pseudonym not stand up to their criteria. They've made products valuable enough to me that I'd need to no longer use them in order to take advantage of their new toy. Yes, well, my general feeling about Google is "so what?". 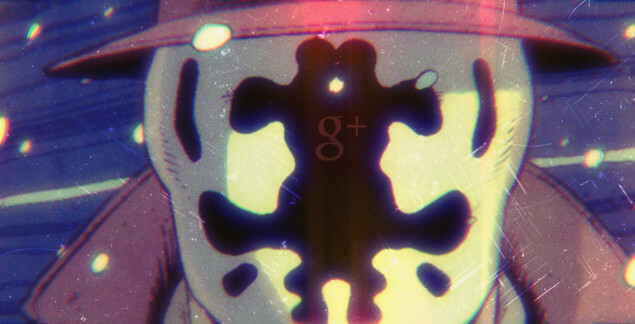 While I was annoyed to begin with I now have zero interest in Google+ and wouldn't join if they let me. I am about to leave Facebook for the third time as my overall interest in unsocial media has deminished. I still like Twitter tho. A day later, I still haven't seen a definitive statement from Google with a concrete criteria for pseudonymity on Google+. Tateru and Jim, I do think there has been a shift in their previously stated policy. That said, I have no clue how much Google's planned trajectory on the name policy has shifted as a result of our nymwars efforts. Deoridhe: They do seem like they're going to acknowledge the value of pseudonymous identities people have built elsewhere. It's going to be interesting to see how they balance their desire to keep out the pseudo-pseudonymous (those who create a throw away identity vs. something that is retained for the long term . . . whatever "long term" means. Scarp Godenot said: "HEY GOOGLE, YOU FREAKING IDIOTS!! !, PEOPLE WANT TO BE ANONYMOUS ON THE FREAKING INTERNET!!!" The point is, Google and the NSTIC they rode in on do NOT want people to be anonymous on the internet. Therefore, expect further humming and hawing, an ongoing display of nifty song-and-dance routines, and many more not-really-concession concessions from them as they try to outlast the opposition to their privacy-free utopian vision of your future.